FC Barcelona were back at the Ciutat Esportiva training ground on Friday morning, the day after their Copa del Rey win against Espanyol. The squad undertook recovery work and began preparations for their next LaLiga fixture, which takes place this Sunday at the Camp Nou against Alavés. Barça remain unbeaten in the league after 20 matches played, including a 2-0 win over this weekend's opposition at Mendizorroza. 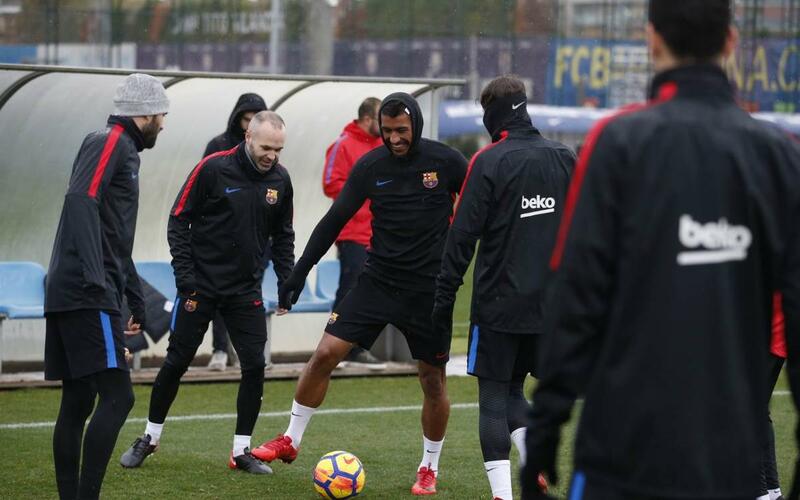 The training session saw Ernesto Valverde give instructions to all of the available first team players, as well as Barça B's Jokin Ezkieta, Tarín, O. Busquets and Cucurella. The starters from Thursday night's Catalan derby were given a recovery routine by the coaching staff.